Border Biscuits Big Baking Bonanza. These biscuits were by far my favourite of the bunch. 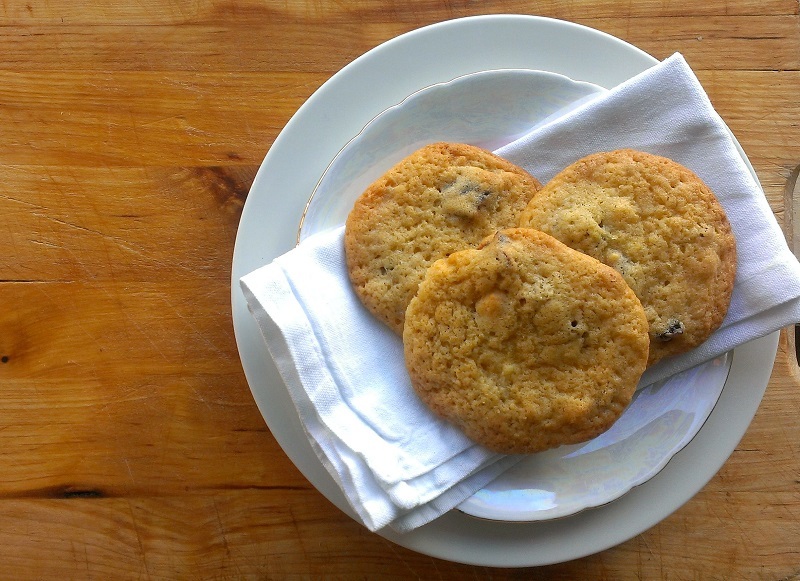 This recipe gives you the soft denseness of a Millies Cookie so it’s a great base to play around with. However, it was the lime which was inspired. 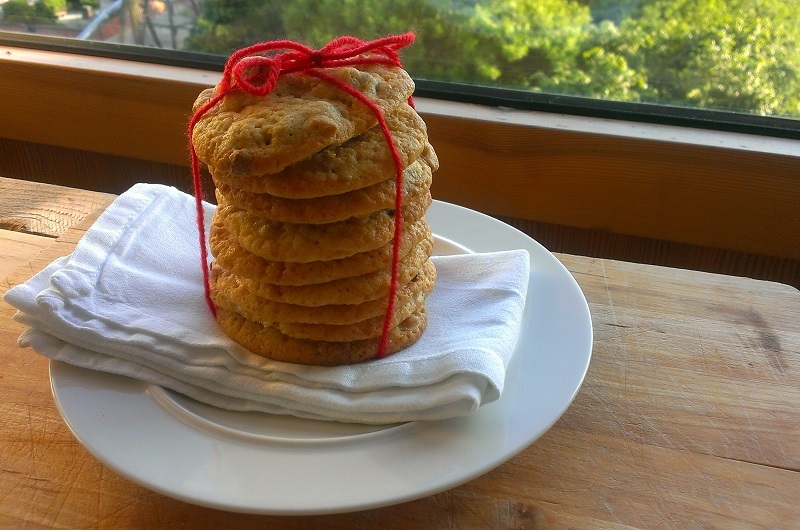 It’s no surprise that these biscuits made it to the final round of judging. The lime wasn’t too overpowering. I suspect this is because it uses more zest than juice, so you get all the flavour without diluting the biscuit dough. Plus, I liked how the tartness of the raspberries & the lime contrasted with the creamy white chocolate. This is a biscuit I reckon kids & adults would enjoy. It may seem like an innocuous plain white chocolate biscuit but looks can be deceptive. The lime packs a punch and I reckon these will surprise anyone on their first bite. Try it & see. Grease a baking sheet and line with greaseproof paper. Set aside until ready to use. Sift the flour into a bowl & set aside. The OCD way of making biscuits. Using a free-standing mixer, electric handheld whisk or a wooden spoon, beat the butter & sugars together until they are combined and soft. Add the egg to the butter mixture with 1 tbsp of the sifted flour. Beat to combine. The addition of flour stops the mixture from splitting. Zest the limes then squeeze out the juice. If you’re using a bar of white chocolate, chop it into small chunks. Creamed biscuit dough ready to be chilled for 30mins. 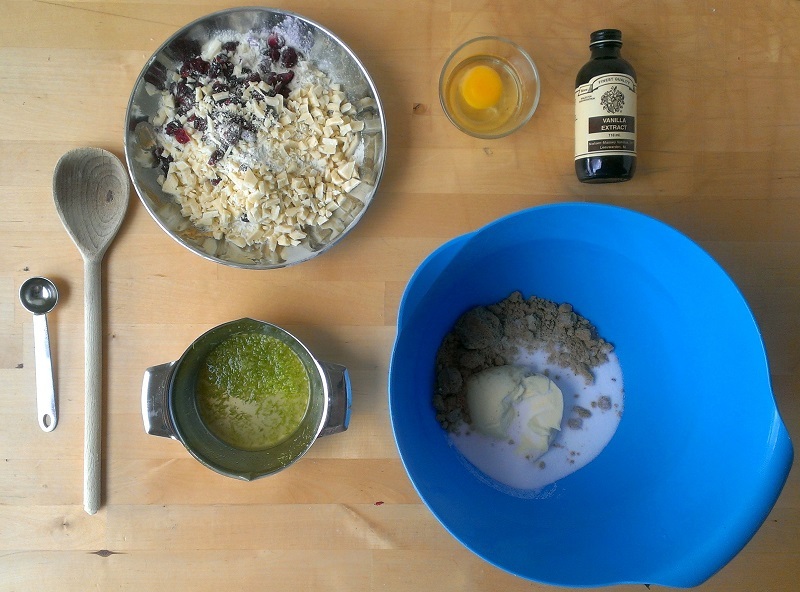 Add the vanilla extract, lime juice, lime zest, raspberries (or cranberries) and white chocolate to the butter mixture and stir to combine. This will be a very soft biscuit dough. Wrap the bowl in cling film & chill in the fridge for 30 mins. Heat the oven to 180C. 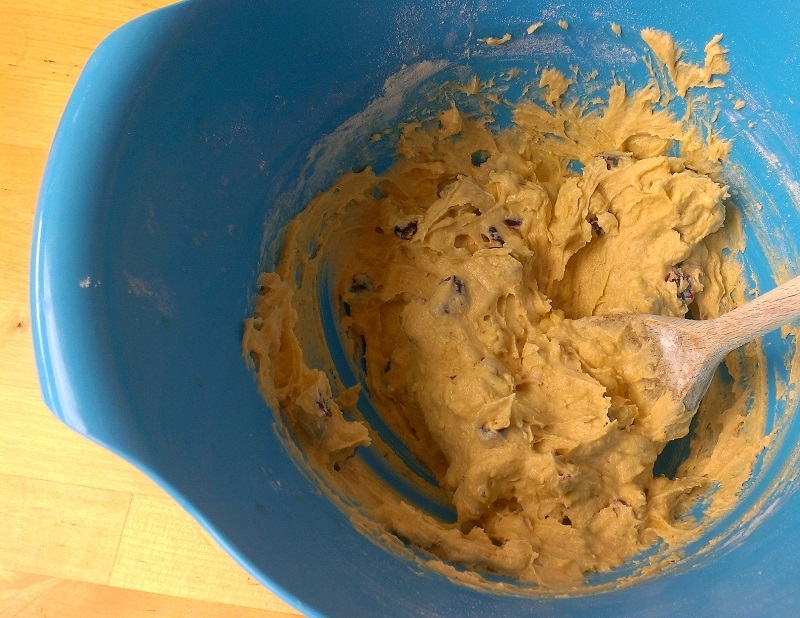 Using a tablespoon, scoop small balls of the dough onto the lined baking sheet. Be sure to leave enough space between each biscuit because they will spread when cooking. Bake for 10-15 minutes or until pale golden in colour. Leave the biscuits to cool on the baking tray for 5 mins before transferring to a cooling rack. These will keep in an airtight box for 3-4 days. Freeze-dried Raspberries were a nightmare to find and very expensive. Make life easier and use dried cranberries instead. Replace the caster sugar with vanilla sugar & skip the vanilla essence. I found the vanilla too overpowering & it didn’t go so well with the lime. Vanilla caster sugar is cheaper & gives the biscuits a more subtle flavour. You can find out how to make vanilla caster sugar here.